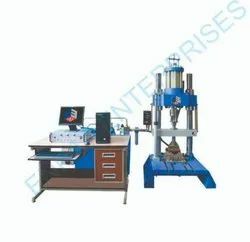 Leading Exporter of servo controlled endurance testing machine for rubber pads, conveyor ovens and civil engineering machinery from New Delhi. 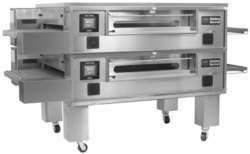 We feel glad to introduce ourselves as one of the leading manufacturers, exporters and suppliers of a broad assortment of Conveyor Oven. To assemble this oven, our ingenious team of professionals makes use of the best in class components and inculcate progressive techniques in complete tandem with universally accepted standards of quality. It is mainly used in food processing industry for roasting of dry fruits and peanuts. Besides, this Conveyor Oven is also used for roasting of soya wadi dryer, powder coating, cereals, helmet paint, paint baking, auto accessories & all kind of paint shop. We offer a comprehensive array of Civil Engineering Machinery, which is widely acclaimed by our precious clients. It is perfectly designed with high precision to meet the set international quality norms; offered range is manufactured making use of optimum grade raw material coupling with latest technology. It is available in assorted specifications according to the needs of clients.